If you want to know more about relationship coaching, look no further. 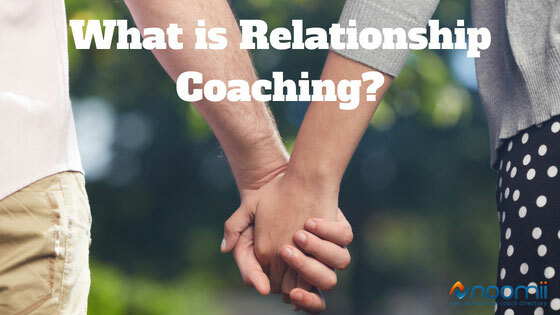 We consulted relationship coach Hadley Earabino to answer some basic questions that are frequently asked by people who aren't quite sure what relationship coaching is. She helps us understand what relationship coaching is, how it differs from couples' therapy, whether a relationship coach can save someone's marriage and much more. Relationship coaching is a life coaching specialization that helps people find greater fulfillment in their personal relationships. A relationship coach can help you set relationship goals, understand your current partnership, thrive inside your marriage, grieve a lost loved-one, or take your long-term romance to the next level. Relationship coaches typically have experience and training in various relationship dynamics, from romantic relationships to family relations and friendships. For some relationship coaches, it is not necessary to work with both partners in a relationship. Coaching helps clients let go of their own painful thoughts, and create their own relationship vision. This means clients are able to enjoy a satisfying relationship even without their partner's participation in the coaching process. Relationship coaches also work with people who are not yet in a relationship. They will work with singles who have a history of troubled relationships, who have difficulty knowing what they want in a relationship or just want to stay on track with their plan to find a deeper connection with someone. Other coaches meet with both partners and teach communication, conflict resolution and other coaching tools meant for couples. Relationship coaches, just like life coaches, take healthy people and make them high performing. A relationship coach can help you quickly uncover the essence of what you want out of a partnership, guide you around painful issues, and create a safe cocoon as you face your fears and discover your true desires. Is Relationship Coaching the Same as "Couples Therapy?" Relationship coaching is not "couples therapy," just as life coaching is not psychotherapy. If therapists are surgeons, coaches are personal trainers. If you're having relationship troubles, a coach might help you clear up your thinking, get some perspective or set inspiring new goals. However, in the case of problems with debilitating mental illness, couples therapy would be recommended. Likewise, if there are many unhealed childhood wounds, a coach will likely refer you to a therapist who specializes in working with past trauma. Unlike therapy, relationship coaching rarely requires you to re-tell your childhood story, but it can help you find peace with where you are now. Relationship coaching might help untangle love knots, but it doesn't purport to "save" marriages. Coaching clarifies relationship issues - separating what we can control with what we cannot. It brings the bright light of awareness into the hidden corners of resentment, fear and avoidance. Even if only one spouse decides to hire a coach, when he or she lets go of mental suffering, the burden on the marriage could also be lightened. Marriages often benefit from coaching, but each marriage has its' own unique set of difficulties, so it is impossible to say whether or not a marriage will grow stronger through the process of coaching. Contrary to what many clients expect, geographic proximity is not always important when looking for a coach. Many relationship coaches work over the phone, via email and through online teleconferencing services like Skype and Zoom, which allows for greater flexibility for both coach and client. It also makes the pool of prospective coaches much larger. You can often hire a coach who lives in your city as easily as one who lives across the country. Finding the right "fit" is much more important than the location of that coach. Noomii coaches offer a free introductory session, which allows you to chat with several coaches before choosing the best fit for you. When looking for a relationship coach, you might seek out someone you can relate to, who you enjoy talking to and who has experience or training in your particular concerns. Where can I get training to become a relationship coach? Relationship coaching is one of the fastest growing segments in the field of coaching. With divorce rates higher than 50 percent, and the marriage rates decreasing every year, there is plenty of demand for coaches that specialize in relationships. There are over 100 Relationship Coach Training Programs, so there are plenty of educational programs for new relationship coaches to choose from. For example, prospective coaches could choose to train at organizations like The Coaches Training Institute (CTI), Coach U or The Relationship Coaching Institute. Other unique options include training with prominent life coaches like Anthony Robbins, Martha Beck or Byron Katie. The cost for an hour of relationship coaching can range from less than $50 to more than $300. Each coach sets his or her own rates, which can be billed in a variety of ways: by the hour, half hour, by the week or by the month. Group coaching sessions are also an option. Other coaches work by monthly retainer, you pay them a fee and they are available to you for that month. Some coaches offer discounts with the purchase of a package of multiple sessions spread out over a period of time. Many coaches offer email coaching as a part of their practice or online group classes, and each product might be billed separately. What's the Difference Between a Relationship Coach, Marriage Coach, Dating Coach, Love Coach or Family Coach? Each of these coaches has a specialization in the area of relationships, marriage, dating, love or family. There is some overlap between these coaching niches, just as there is overlap in our lives between love and marriage and between dating and relationships. If you're not married, but want to be, you might call a dating coach (and save the marriage coach's number for later.) If you're fighting endlessly with your sister, you might call a family coach or a relationship coach-- but pass on the love coach, who likely specializes in romantic relationships. Every coach is different, but most can help you in several areas of your life. In general, a relationship coach can help with any kind of relationship; a marriage coach helps married people, a dating coach helps singles, a love coach helps people with their romantic lives and a family coach helps sort out family issues. Can a Relationship Coach Help me Keep my Family Together? Relationship coaches help families get around painful issues, but it doesn't promise to "keep families together." Coaching brings a family's problems out into the light, where they can be considered openly. For example, it might help individuals to see what part they play in the family dynamic-what is their business, and what is somebody else's business. Even if only one family member decides to hire a coach, the relationships between members often improve as the old painful feelings are addressed.